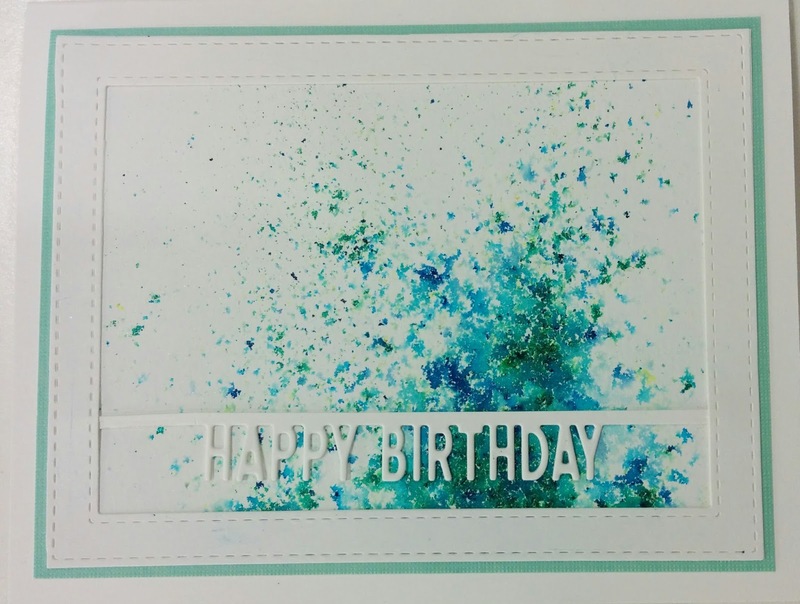 Here is a birthday card I made using Impression Obsession's dies: "All-in-one frames rectangles 2" and "Greetings bottom edgers". Thanks for stopping by, have a wonderful week-end! Beautiful colors, and a really fun design, as your mind makes up all kinds of images from the splatters! Thanks for sharing this with us at the Simon Says Stamp Wednesday challenge! I love this! So fun! Beautiful! Thanks for joining us at iO stamps challenge!